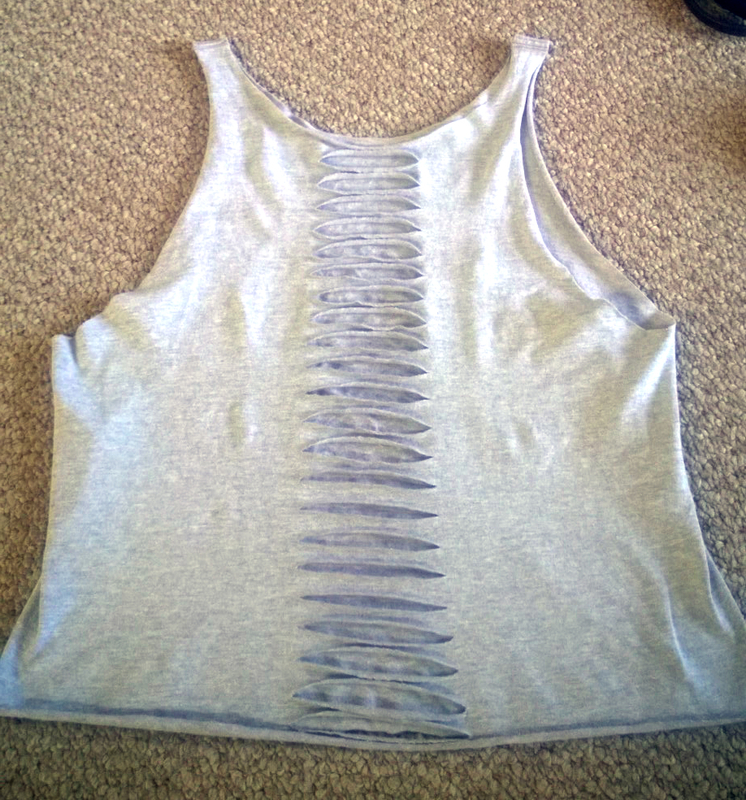 I know there are a million DIY T-Shirt Tank videos and blogs out there, how do you think I learned how to do it? Even though I am sure there are more informative examples out there, I figured I might as well give it a go myself. 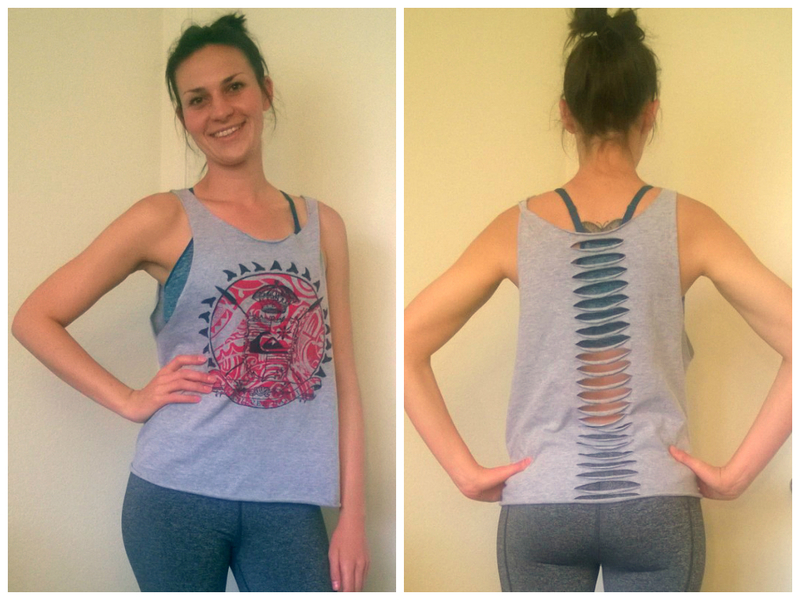 I have turned many t-shirts into tank tops in my life, I’ve even had “Tank Top Parties” and showed my friends how to do it, and I am known in Zumba class as the girl who cuts her shirts, so I figured I might as well share with the world. Step 1: Get a t-shirt that you want to turn into a tank top. I like to get larger rather than smaller shirts because I like my work out tops to be baggy. My husband bought a shirt that once he washed it was too small for him, so he gave it to me. Step 2: You will need a very sharp pair of scissors and masking tape (if you want to cut the back). You can also use a ruler for measuring, but I usually just eyeball it. 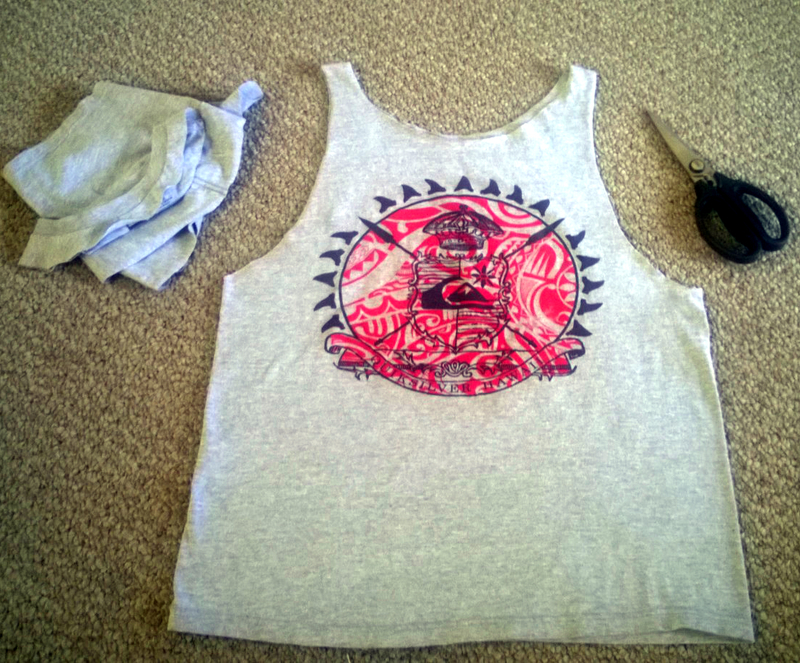 Step 3: Lay the shirt out on a flat surface. I prefer the ground, but a dining room table would work too. 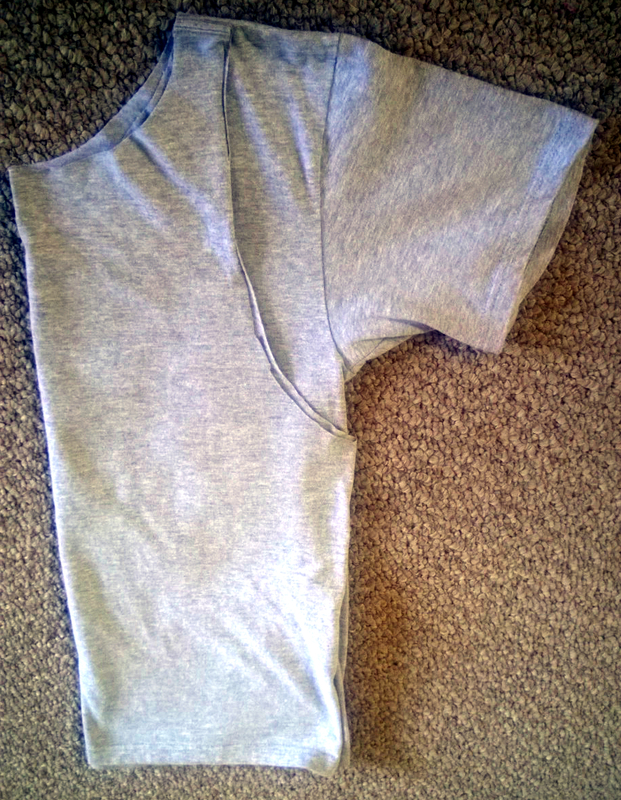 First cut off the neckline of the t-shirt. The deeper you go, the lower the neckline will be once finished. I usually prefer deeper necklines. Start at one side and keep the same distance going all the way around until you reach the other side. 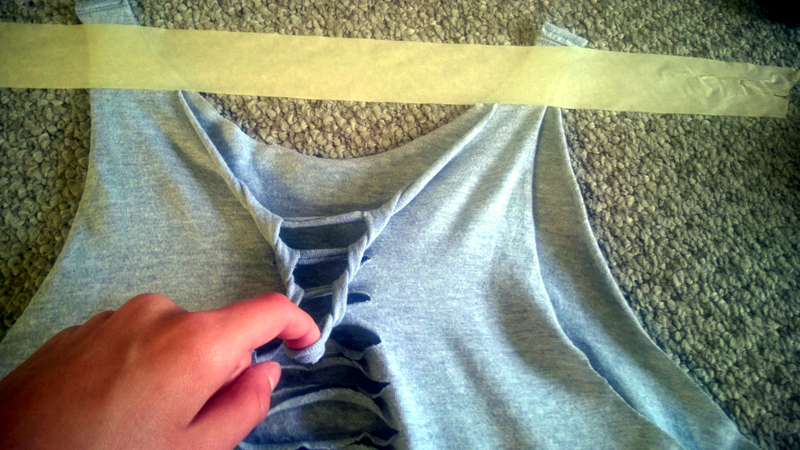 If you are nervous, you can always cut a smaller neckline, try it on, and then re-cut until you are satisfied. You can measure the sides to make it accurate, but generally eyeballing it is good enough. Notice my cut below isn’t perfect, but once it is finished you will never notice. Step 4: Next cut out one of the arm holes. Again, I like to make a deeper cut, but you can start small and keep going bigger. Start at the top of the shoulder, inside the sleeve seam. Even for my tighter arm holes, I generally end about an inch or two below the actual sleeve. 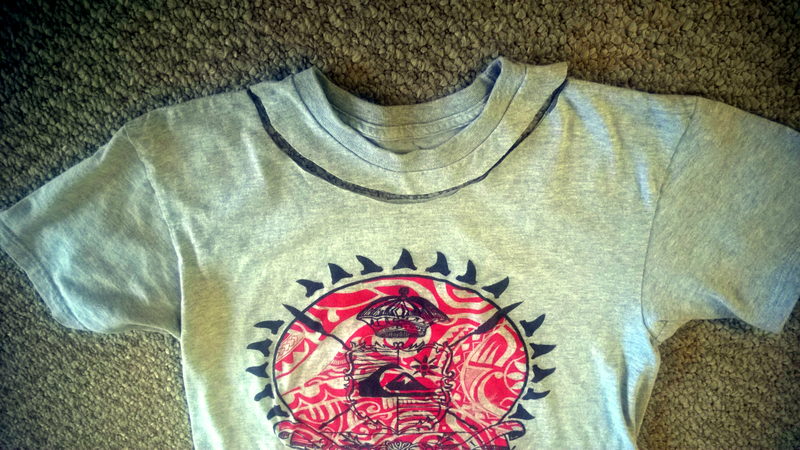 Step 5: The easiest way to get an even cut on both sides is to fold the shirt in half and copy your first cut. Step 7: Next I generally cut off the bottom seam. You don’t have to do this, but it usually fits looser and makes it shorter, which is what I want. If you like the length, leave it how it is. If you want to cut the back, I recommend cutting off the bottom seam. If not, it could turn out funky. Step 8: Now pull all your new cuts to stretch the fabric. I know this sounds weird, but you just got to do it. If your cuts aren’t perfectly straight, this helps smooth everything out. Step 9: If you don’t want to cut the back up, you are done!! Hooray! If you want to cut up the back, this is how. 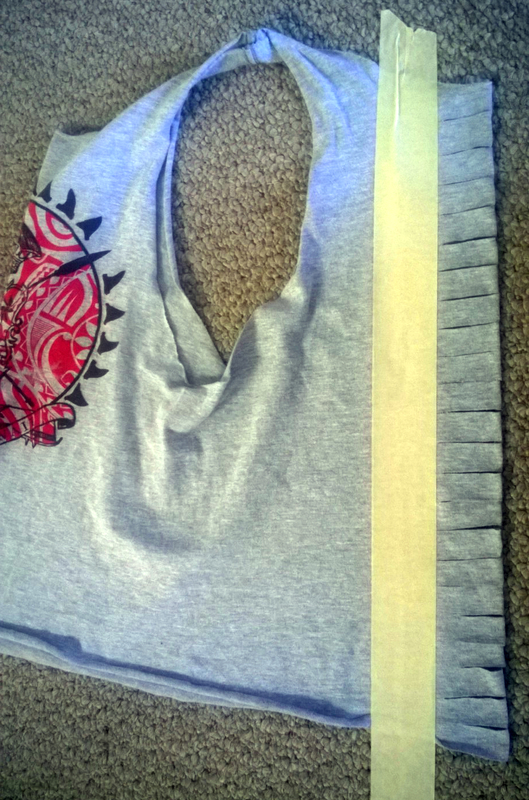 First, fold the shirt sideways so the seams are now on the side. Hard to explain, look at the picture. Really make sure you center the back crease the best you can, I have a few shirts that are crooked because I didn’t do this well enough. Wipe away all wrinkles. Once flat and even, I recommend taking a piece of masking tape and laying it down the back. Line up the edge where you want your cuts to go. This way it holds your shirt in place (if you also tape it to the ground) and it makes sure your cutting line will be straight and even every time. Step 10: Cut 1/2 inch to 1 inch thick strips (depending on preference) all the way along the back crease. Make sure to stop at the masking tape to keep a straight line. 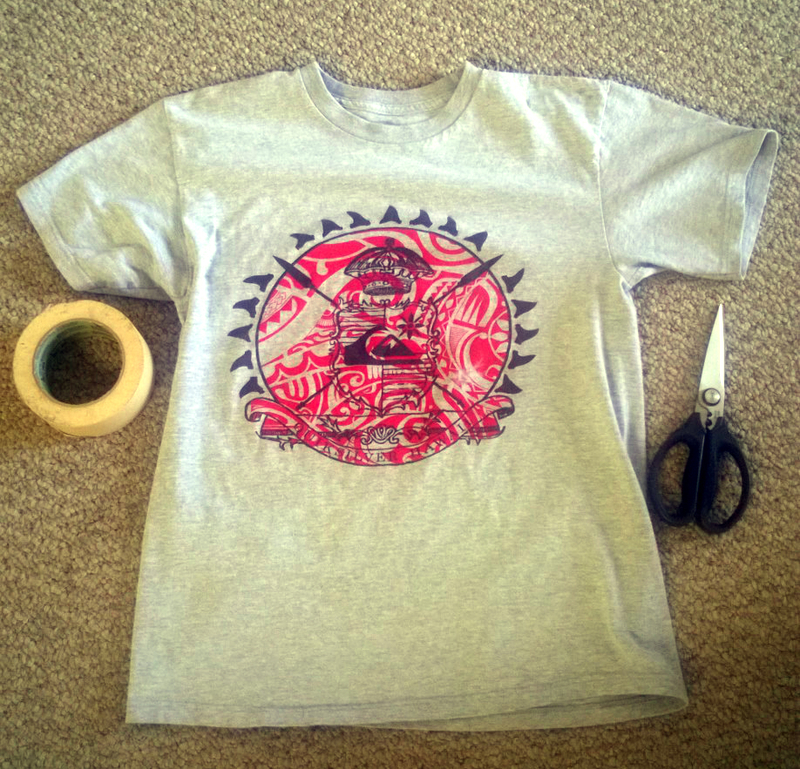 Or if you want to get fancy, you can angle the masking tape to make different length cuts (shown in the “Dance Like No One is Watching” shirt below). Step 11: Remove masking tape and open normally. Stretch each cut, like you did above. It should roll up like mine looks below. Step 12: If you want to leave the cuts open, you are done! If you want to braid the back, this is how you do it. First, I recommend taking that same piece of masking tape and taping the shirt down to the floor (or table), this makes life easier. Then, take the top piece of cloth, pull it down below the second piece. Now grab the second piece through the first piece, then drop the first piece. Pull the second piece down below the third piece. Continue this process until you get to the bottom. On the last piece, cut it in half. Tie both ends to the respective side using a double knot, then cut the excess tails. I wanted to leave mine with just the slits, so I showed you the first steps below, but I did not finish it. ALL DONE!! Now that you know the basic steps, your options really are endless. The final product. Can’t wait to go running in it tomorrow! My husband is super jealous of my cool new shirt that he never got to wear. 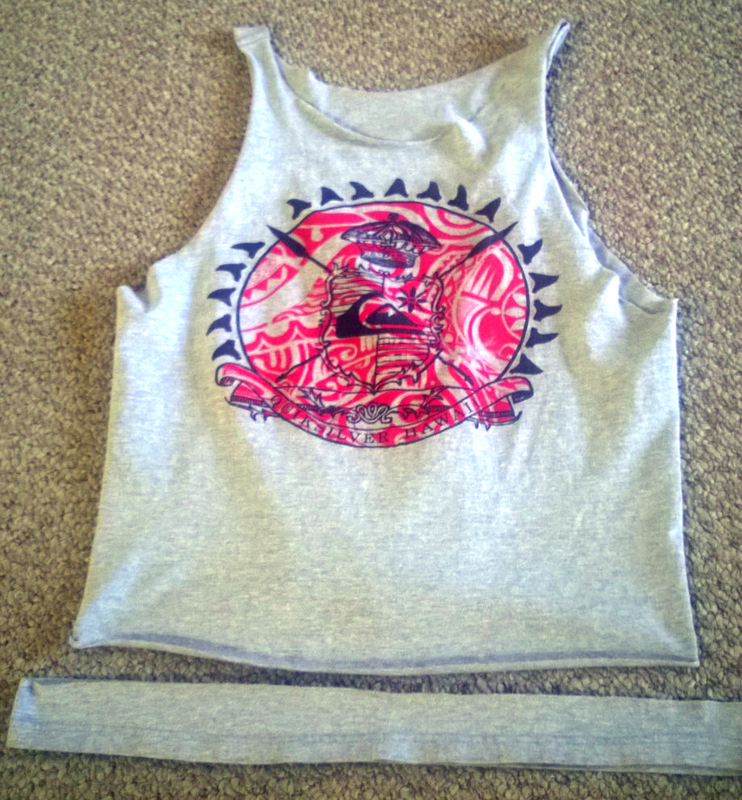 The first t-shirt tank I ever made. 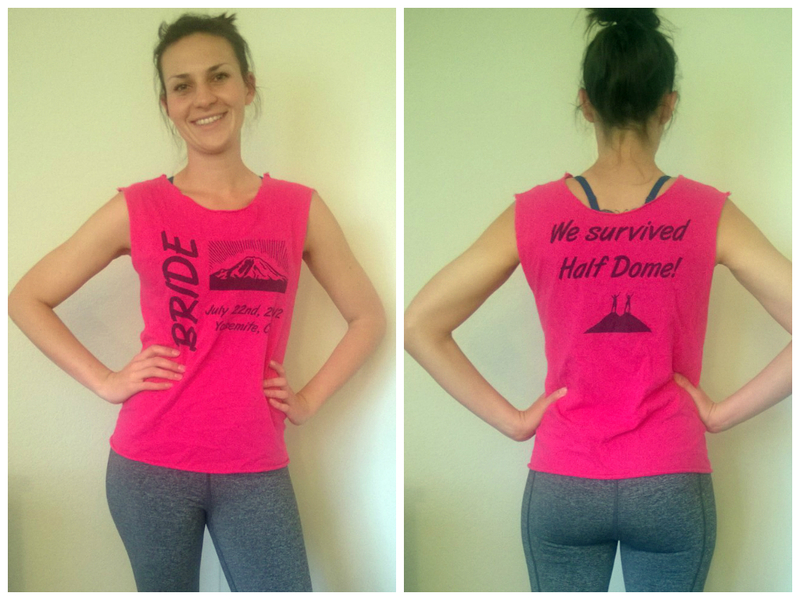 My husband and I climbed Half Dome for our Honeymoon so I was the cheesy wife and made us matching shirts. This is what started this whole t-shirt cutting legacy! Modifications: I cut a shallow neck and arm holes, cut off the bottom. 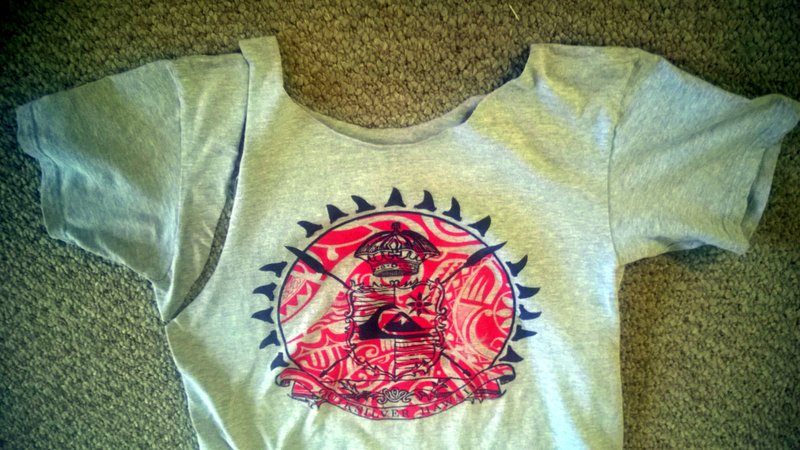 The second shirt I ever cut. My cousin studied at Oxford University and got me this shirt. I loved it, but the neck hole was super weird and was so tight it literally cut off my neck circulation. Instead of giving it to the thrift store I figured I might as well try to salvage it. 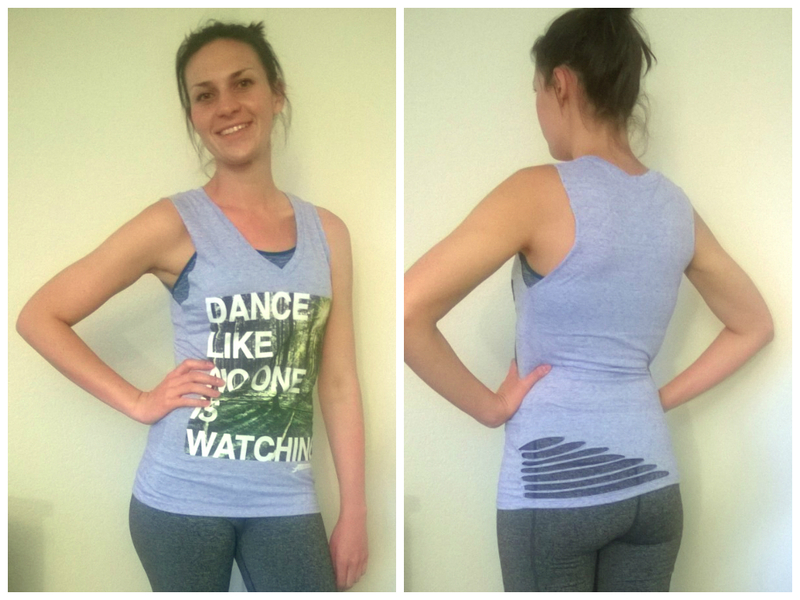 Now I love it and it is one of my most used workout tanks. Modifications: Deep neck cut, very deep arm cuts. Took a piece of the leftover fabric and tied it around the back straps to make it a racer-back. Also cut off the bottom seam. 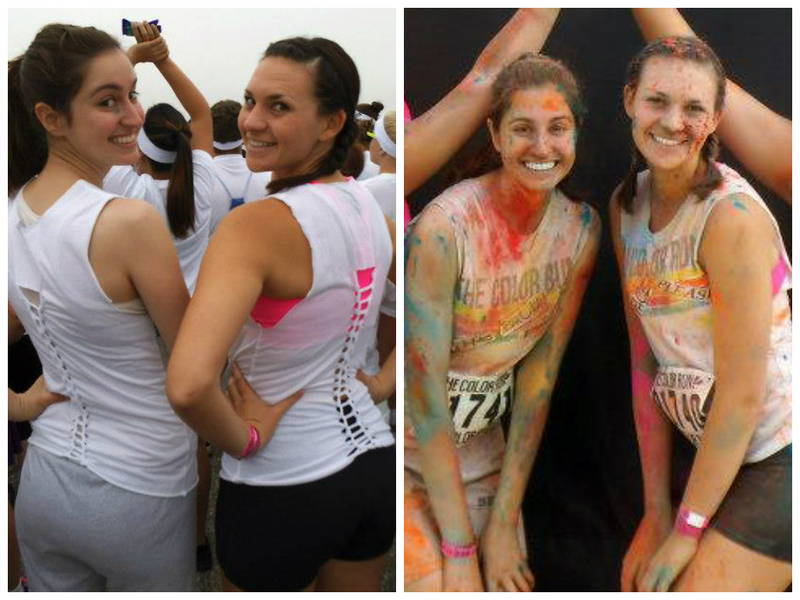 My friends and I signed up for a Color Run and decided to cut up our shirts before the race. They all came over and we had a little party and I showed them how to do it. 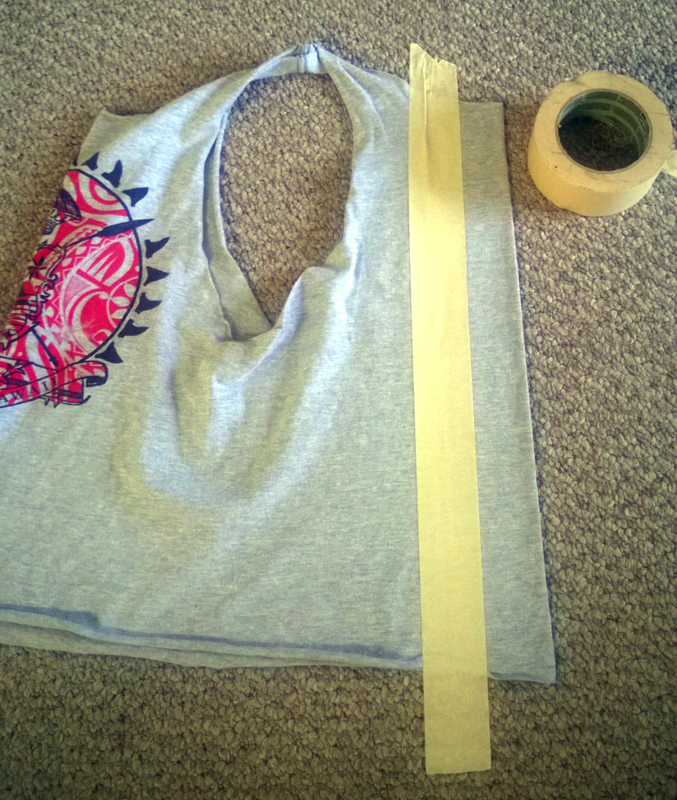 Modifications: Cut the neck and arm holes, and cut the bottom. Did a very small braid in the back. 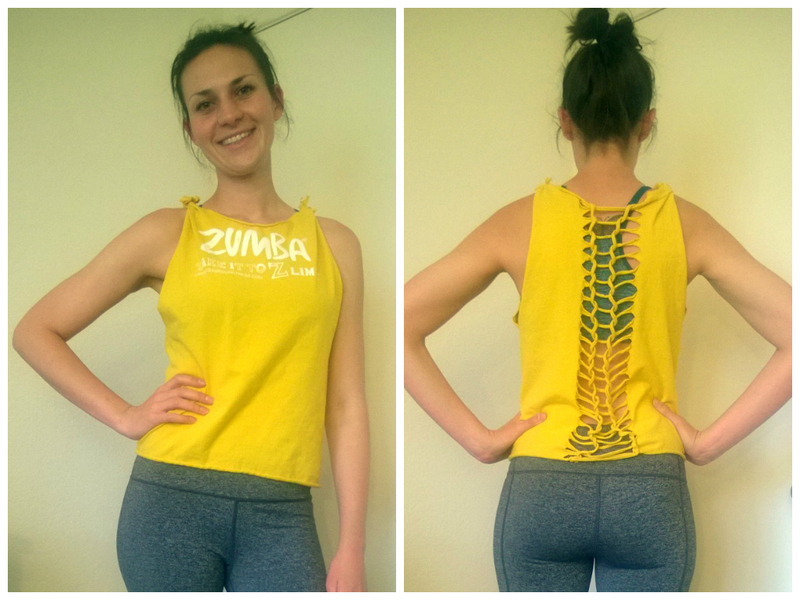 I got a free shirt from my Zumba instructor and decided to turn it into a tank. Modifications: Cut the neck and arm holes. Cut the bottom. The shirt rested too far down my torso and looked funny so I cut the tops of the straps and knotted them to raise the whole top up. Did a very large braid on the back. Got this shirt from Target and a matching one for my sister since we both love Zumba. This is the shirt I get the most compliments on for sure. Modifications: Left the neck alone because it already had a deep V and I liked it, I cut the sleeves off, and put off center cuts into the back. 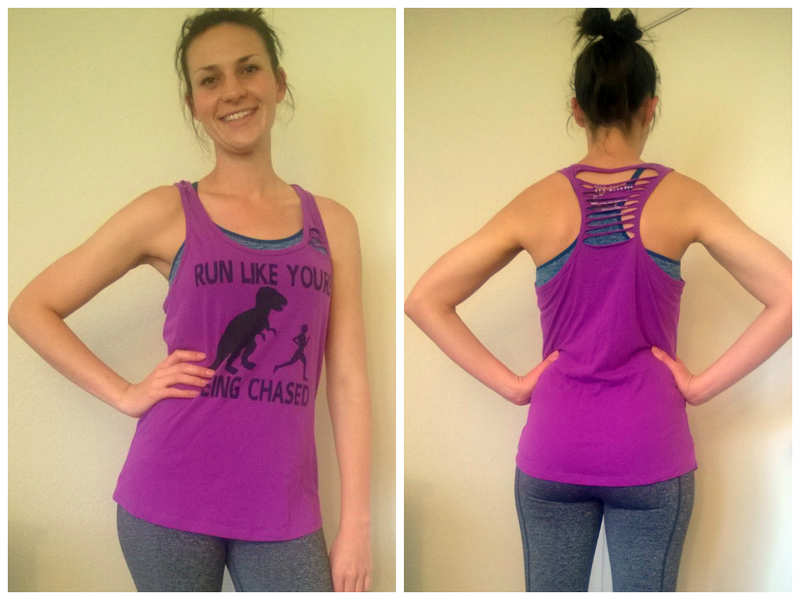 I run a lot so when I saw this shirt at Target I had to get it. I decided to play with the whole “being chased by a dinosaur” thing and tore the shirt up strategically. Modifications: Cut a few slits into the front straps, cut larger slits into the top part of the racer-back. Left the neck, arm, and bottom alone.